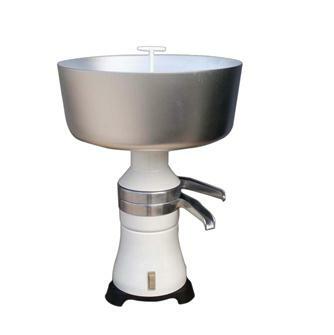 The electric skimmer will allow you to make your own cream quickly, up to 100 litres per hour. Aluminium and stainless steel skimmer. Electric 100 litre per hour skimmer., metal body.